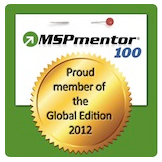 Today MSPmentor, (produced by Nine Live Media Inc.) the ultimate guide to managed services and the leading global destination for managed service providers, announced that Mirus IT Solutions have been ranked 5th in the UK, 7th in Europe and 52nd in The World’s Top 100 Managed Service Providers survey. Instead of ranking managed service providers merely by total revenue, MSPmentor calculates an index measurement using such metrics as overall managed services revenue, overall managed services revenue growth, percentage managed services revenue growth, managed services revenue per employee, number of devices managed, and other data points. This index approach ensures small, midsize and large managed service providers from around the world are recognised on the MSPmentor 100.